Home » Texas Wrongful Death » Is my wrongful death settlement taxable? Wrongful death settlements can often be well into the hundreds of thousands or even millions of dollars. As a result, many surviving family members are concerned about their potential tax liability if they receive a significant wrongful death settlement offer and wonder if there is anything they can do to avoid a massive tax bill in the following year. Is my wrongful death settlement taxable? Wrongful death settlements are generally not taxable. Very generally speaking, the proceeds of a wrongful death (or personal injury claim, for that matter) are not considered taxable by the Internal Revenue Service (IRS). There are some instances in which a part of a settlement may be taxable, for reasons explained below. The general rule is that that settlements or awards that are compensatory in nature are not considered taxable income by the IRS because they are intended to compensate the plaintiff for a loss that has already been sustained, so awards should not be treated as new income. On the other hand, damages that are punitive are not intended to compensate a plaintiff for a particular loss, so they may be taxed as income, in certain cases. Unlike compensatory damages, punitive damages are imposed against a plaintiff to punish them for particularly egregious conduct and to discourage others from engaging in similar conduct. 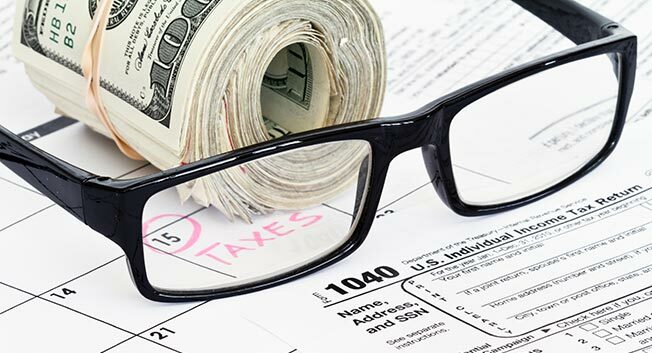 The IRS looks to the nature of the claim on which a particular settlement was based in order to determine what portion, if any, will be taxable. In addition, the IRS can challenge a settlement in which the allocation of punitive to compensatory damages does not accurately reflect the “economic substance” of the settlement. As one may expect, there is an exception to the rule that punitive damages are treated as taxable income. Generally, courts look to the law of the state in which the settlement occurred in order to determine whether there could be compensatory or punitive damages awarded in a wrongful death case. In states in which only punitive damages are available for a wrongful death claim, the IRS allows people to exempt their settlement award from their taxable income. Because Texas law allows for both compensatory and punitive damages in wrongful death cases, part of your wrongful death settlement may be considered taxable income by the IRS. For this reason, people who think that they may have a wrongful death claim should always speak with an experienced lawyer before accepting a settlement offer or taking any other legal action with regard to their claim. The IRS can change its interpretation at any time and, thus, you should speak to a lawyer about your specific situation. If you have lost a loved in an accident that you believe was someone else’s fault or as a result of an intentional act, you should call Sutliff & Stout today. Our experienced Houston wrongful death attorneys are dedicated to representing the rights of people who have lost family members due to the negligent or wrongful acts of others. To schedule a free consultation with one of our lawyers, call our office today at 713-987-7111.